A little healthy competition…..and the winner is…. Willard North and Willard Central held a friendly competition for the April wellness challenge. During the month of April, staff were encouraged to participate in a walk/jog/run mileage challenge. Only miles above the regular day steps were counted. In other words, steps to the office or walking around your classroom did not count. The miles were to be intentional miles set aside to walk, jog, or run. Staff turned in their miles done each week to their wellness coordinator. Let’s give a BIG congratulations to the winning school…… WILLARD NORTH! Both schools combined for an impressive, grand total of 2,219 1/2 miles. We think that means they’re all winners! Willard Central employees took on a tough building wide challenge last month. Employees had to stay away from all sugar and artificial sweeteners to have their day count towards the building total. They set their goal really high at 500 days total of no sugar for the month and were able to get to 451 days!! They enjoyed a salad bar for lunch last week to celebrate. It wasn’t an easy challenge and the rules were pretty strict on the no sugar. Employees were checking labels and became much more aware of what they were eating and drinking. Way to go, Willard Central! In the meantime, you may get many of your questions answered and register for the day/time of your choice by following the directions on the HRA 2017 wellness page. 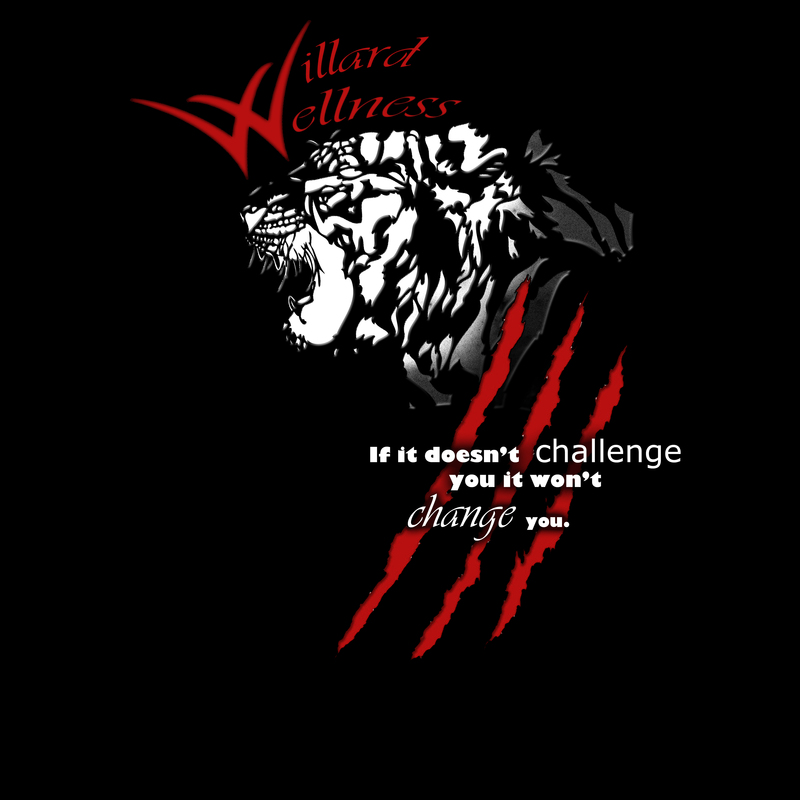 Willard East & Intermediate are stepping up to the challenge! Willard Intermediate held a March Madness competition and blew their building challenge of 8 million steps out of the water by reaching a total of 19,571,138 steps! Congratulations to these team members for averaging 224,758 steps a week: Tammy Murray, Paige Thompson, Jennifer Shaw, Jennifer Smith, Annette Finn, Alesia Coffman and Erika Brickner. They earned a free lunch from Pizano’s. There are several things to spotlight at Willard Middle School this month. First of all, the staff members have been participating in a monthly point competition which continued this month. They can earn points for making healthy choices like exercising, eating healthy, taking time for themselves, going to the doctor, weighing themselves, etc. If they eat a minimum of 5 fruit/veggie servings for 5 days of the week throughout all of February they earn a bonus of 100 points. At the end of the month, everyone who met the goal of 200 points is entered into a drawing for a $25 gift card, and they will earn a comfy clothes day in March. Along with the points competition, staff were given an extra challenge this month, “Fit February”. For each day of the month, there are 3 exercises to complete all with varying repetitions. The goal is that throughout the month you build strength and endurance as the repetitions start small and grow. For each day a staff member completes the exercises, he/she is entered into a drawing for prizes. If staff members complete at least 15 days, they will earn a comfy clothes day in March. Finally, the class “Just Dance” has been taking place after school on Wednesdays. Several staff members from the middle school and high school have been participating. The workouts include all types of dance with the goal to get your heart rate up and burn calories. At the end of each dance workout is an ab workout to add a little strength training to the routine. This year’s staff volleyball league kicked off last night and there were some great games! There are teams from 5 different buildings and others are welcome to participate. Games are held on Tuesday evenings at Willard Middle School through the end of March. Cost is $1 per player/per game. This money pays the ref fees. Contact your building wellness coordinator or Angie Curry for more information or to get your team signed up. You don’t want to miss out on your building stealing the “Traveling Trophy” from Willard North, last year’s winners with the most wins! Or can they hold onto it for another year?!? WIS got their new year started off right with a visit during their PD day yesterday with fitness nutrition specialists from Supplement Superstore. Staff were able to choose between two sessions to learn about healthy eating and how our body burns the food we eat. The rest of the day allowed for 1-1 meetings with the specialists to create an individual nutrition plan. These meetings validated some of the great things staff are already doing and educated many on ways they can continue to improve their health and nutrition. There’s so much to be thankful for this Thanksgiving. Thanksgiving is a great time to reflect on all the things we have been blessed with. The Willard North staff is striving to work towards personal, healthy living goals. They also strive to give back to the community by participating in the Willard Care to Learn Turkey Trot. Care to Learn provides immediate funding to meet health, hunger, and hygiene needs so every child can be successful in school. All the proceeds received are used locally. WN had a total of 28 family, friends, and co-workers participate in this year’s charitable event for Care to Learn. The Willard North Turkey Trot team was recognized with the Team Spirit award again this year. The theme for this year was to dress in camouflage as a hunter, and our slogan was “Willard North is Hunting Down Hunger.” We had a lot of fun and it was a great time spent with our Willard North family on Thanksgiving Day. Also, many staff members participated in the Health Risk Assessment at the beginning of this month. Those who participated will be getting a t-shirt. 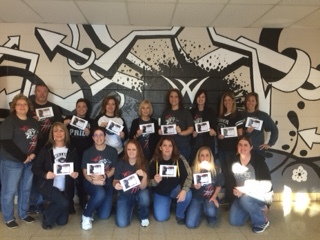 Congratulations to the staff that participated in the “Willard North Health and Wellness Points Challenge”. This challenge helped staff form and maintain a healthier lifestyle. 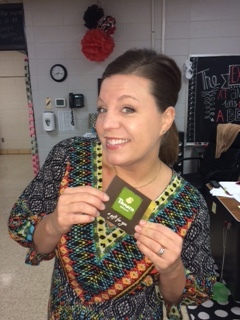 Congratulations to Mrs. Taylor for being our lucky winner of the Academy $25 gift card drawing. Mr. Anderson was the lucky winner for November’s Turkey Trot drawing. Boot Camp style workouts that focus on strength conditioning and cardio. Each workout is designed to fit all fitness levels. Classes are set up for you to workout at your own pace and skills. Watercolor Basics – This class is offered to benefit mental wellness through the creative explorations of watercolor. Relax and enjoy learning some basic watercolor techniques through a guided step-by-step process. We will complete an 8 x 10 painting each class. Look for more information to come about the next stress relieving watercolor basics class on Willard U! We know you’re going to want one of these t-shirts! Don’t let time run out, if you haven’t already signed up for the Health Risk Assessment get info to get signed up here: HRA & Flu Shot Sign-Up 2016. Our last 2 opportunities are on Nov. 21 at Willard South and Nov. 22 at Willard Central. Also, remember if you have recently had a full physical with your doctor, you may show verification to your school nurse to get a free t-shirt too. Be sure to congratulate our student finalists if you see them! Get all the details you need for this year’s Health Risk Assessments and flu shots in November on the News & Events-HRA 2016 page. 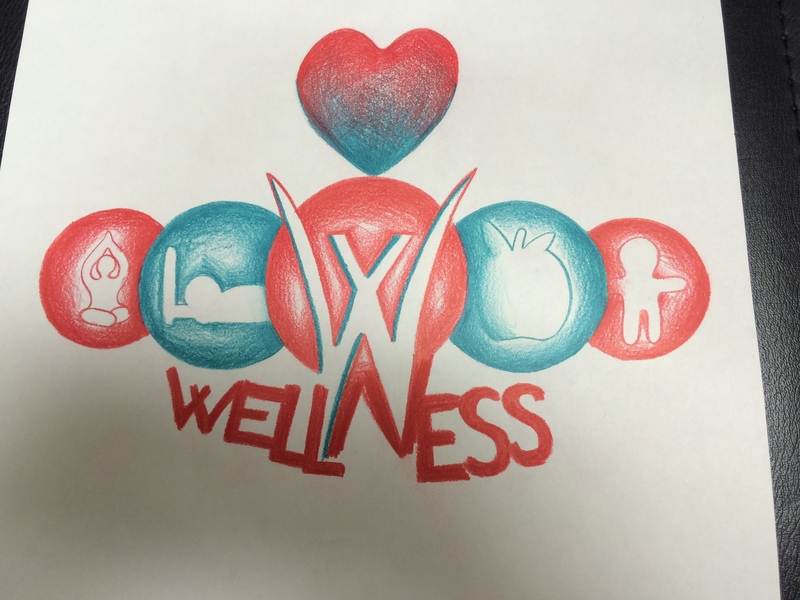 Look for our t-shirt contest to begin soon to help us decide which student design will be chosen for this year’s Employee Wellness t-shirt. Last year’s design to the right was created by Sydney Owens. Don’t forget if you have already had a yearly physical with your primary dr. we want to hear from you too. Just show verification to your school nurse and you will also get a free t-shirt! Did you know that CoxHealth Fitness Center offers a discounted membership to Willard School employees? With the corporate membership you gain access to Willard, Republic and Cox North fitness centers. Another available option allows access to the Meyer Center. Check out their rates below. For questions or additional information please call 269-3282. Sept. 24 is the St. Jude’s Walk/Run to End Childhood Cancer at Rutledge Wilson Farms and we’ve got a Willard team forming. Interested in this all ages event for a great cause? Get more information and sign up to join the team here. Care to Learn Panther Run will be held Oct. 1st, 2016. If you would like to register or want more information, click here. Volunteers are also needed to help with street patrol. If interested contact Chrysta Forrest or Debbie Burks. On the registration form, please check the Willard box so we will get credit for your participation. Register for the 4th Annual WIS 5K Color Run. This year’s event will be in conjunction with Our Town Fall Festival & Craft Show and begins at 8 am at Willard Intermediate School. Get your pre-registration form turned in by Oct. 14 to guarantee you get a t-shirt. Let’s get our wellness on! 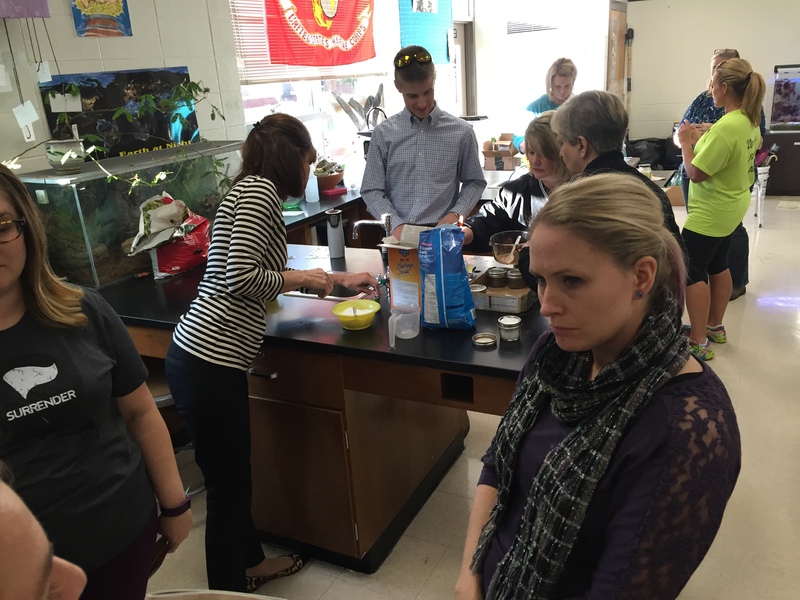 Willard South hit the new year running with a focus on their personal wellness in 2016. During the first 8 weeks of the year, they did a Slim Down to Spring Break Weight Loss Challenge. Each person set their own weight loss goal and paid $10 for a chance to win the pot of money. Congrats to Lindsay Wallace who met and exceeded her goal, losing the highest percentage of weight, and winning the money! Several others were within a few pounds of meeting their goal. In February they did a Fit February Challenge. Eight teachers completed 15 or more days and everyone who participated won a pass to wear jeans and a Trail Mix snack. Several of the classes also chose to get involved. Mrs. Hayter’s class even completed all 29 days of the challenge! South also has a small group that meets weekly Tuesday–Thursday after school to work out for about 30 mins. Their final challenge for the year will be “Move Your Shoes” Challenge. They’ve created a team called, The Step Sisters and plan to log their steps for the next 30 days. They will try to reach a goal of walking the distance of I-44 and back which would be 1,268 miles as a group. When they make it back, they’ll celebrate with Route 44 drinks from Sonic. Our staff at the special services office just completed a 6 week winter challenge to raise their health and wellness. Employees earned a 10 minute neck massage by meeting their health and wellness checklist goals AND increasing their steps over the six weeks from their baseline adding 500 steps a week. Eight people met the challenge!! Participation increased from 6 – 8 people for monthly wellness challenges. Looks like the massage reward was a hit! It’s a new year and we have some great class offerings to help any employee kick it off fit and healthy! This is a great and free way to get your fitness in quickly before you go home. Another great perk working for Willard Schools you can take advantage of! See the list of upcoming classes below. Some of them begin next week. Women’s Self Defense – WMS, Monday, 4-5 pm (5 week session, Jan. 25- Feb. 29) **Staff are encouraged to bring their family members 16 & older along with them! Be sure to sign up for this year’s Biggest Loser Challenge. It begins on Monday, Jan. 11 with our first weigh in. Find out details here and get signed up. Contact Christina Nuttall for additional information. A funny I know you will appreciate, the struggle is real! November is a month to reflect and be thankful. Willard North can definitely count their many blessings as we work towards our personal, healthy living goals. Our building put together a team to run/walk at the Willard Care to Learn Turkey Trot. There were a total of 19 co-workers and/or family members that participated in this charitable event for Willard’s Care to Learn. The building showed great character to help give back to our community. The Willard North Turkey Trot team was recognized with the Team Spirit award for their Indian themed outfits on Thanksgiving morning. Congratulations to the staff that participated in the “Fill the Tank” water challenge! This challenge helped staff form and maintain meaningful new water drinking habits that we hope they continue to carry forward. They not only met their building goal of 14,080 oz. of water, but exceeded that goal by drinking a total of 28,056 oz. of water. Great job! Our tank overflowed!! Congratulations to Mr. Gugel for being our lucky winner for the $25 gift card drawing. Their next monthly challenge is for each person to walk, jog, or run a total of 15 miles over the next three weeks. Each person that reaches the goal of 15 miles in 3 weeks will have their name put in a drawing for a chance to win a gift card. Thursday the 3rd began the countdown of 12 school days until Christmas break. Mrs. Gehring gave us the great idea to do the 12 Days of Wellness Challenge. The WN coordinator, Christy Pyle, has challenged the staff each day for 12 days. 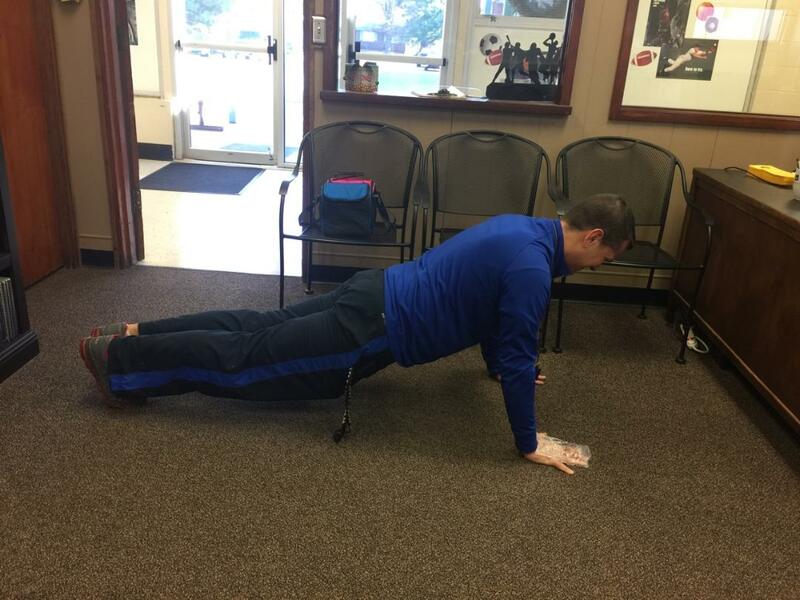 For example, on the first day the wellness coordinator challenged the staff to a one minute plank. The two pictures below show Mrs. Hambey and Coach Bills completing the first day challenge. They were being timed to hold a plank for one minute. For each challenge that staff completes, their name will be placed into a drawing for a gift certificate. If you complete all 12 challenges, your name will be placed in the box 12 times! Circuit Training – A full body circuit training workout on Thursdays that incorporates both resistance training and cardio on Thursdays from 4-5 pm. Watercolor Basics – Offered for teachers to experience a bit of mental wellness. Participants are led through the step-by-step process of painting a seasonal tree with watercolors. Look for more information to come about the next stress relieving watercolor basics class on Willard U! Willard North is striving to meet a healthy living lifestyle. They will continue with monthly challenges to ring in the new year. Way to go Willard North staff for taking fitness to a new level! Keep up the hard work and determination. Many Willard staff continue to stay active even though the weather is getting colder. Check out pics from WIS 5K Color Run & Willard Turkey Trot. There were also several staff that participated in the Springfield Turkey Trot too. Did you participate in a run during November and we don’t have your picture? We’d love to have it! Please send them to staceypippin@willardschools.net and we’ll get you added! WOHE has been working hard to reach their wellness goals. They kicked off the building Wellness Program with WOHE Wellness Cards. Staff members can do a variety of different activities that promote a health lifestyle to earn punches on their cards. For each card they fill up they will be entered into a drawing for a FitBit. This drawing will happen in December! They also have had two monthly wellness building goals so far. Everyone is encouraged to work toward this goal for the month. At the end of the month there is a reward day for the entire staff. So far they have worked on getting enough sleep and drinking enough water each day. In the workroom they have a Wellness Board to help everyone keep track of what is going on with the building program. This board also includes a list of activities staff may be interested in participating in. There have been many members of the WOHE staff who have been out and moving in races around town the last couple of months! They even had three staff members who completed the Bass Pro Half Marathon. Those staff members were: Brittany Gill, Ashley Perryman and Ashley Phinney. Great job to everyone! WOHE is looking forward to the rest of the year and continuing to work toward their goals. Teachers at WMS participated in a sleep challenge for the month of October and we celebrated the sleep focus with a sweats/comfy clothes day. They also have a group that has been getting together 3 times a week to do the Focus T25 workouts. The first 5 weeks in the “Alpha” cycle are now complete, and we moved on to the “Beta” cycle last week. In November they are doing a step challenge. Participants are grouped in teams to try and get the highest amount steps. Not only will the winning team get bragging rights, but they will also be provided with lunch on a day of their choosing! 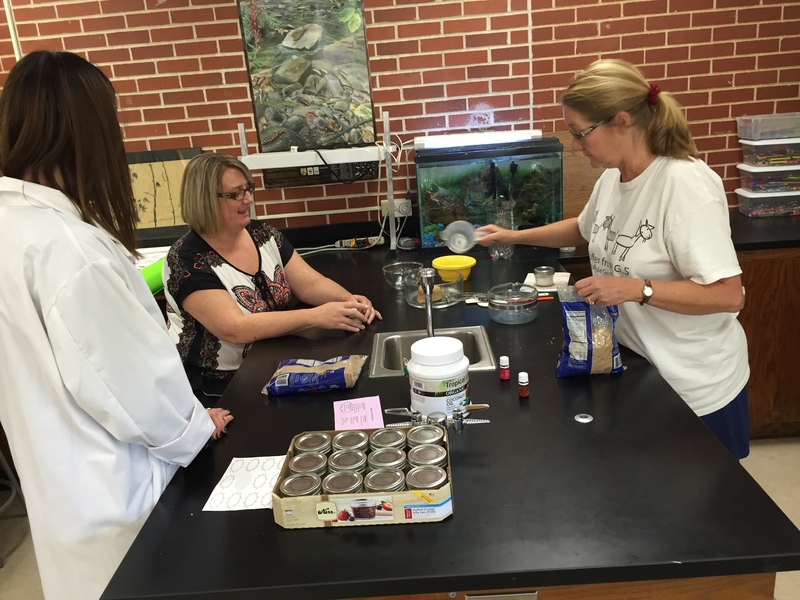 Several staff members took an opportunity to learn about the use of essential oils to boost health last week. 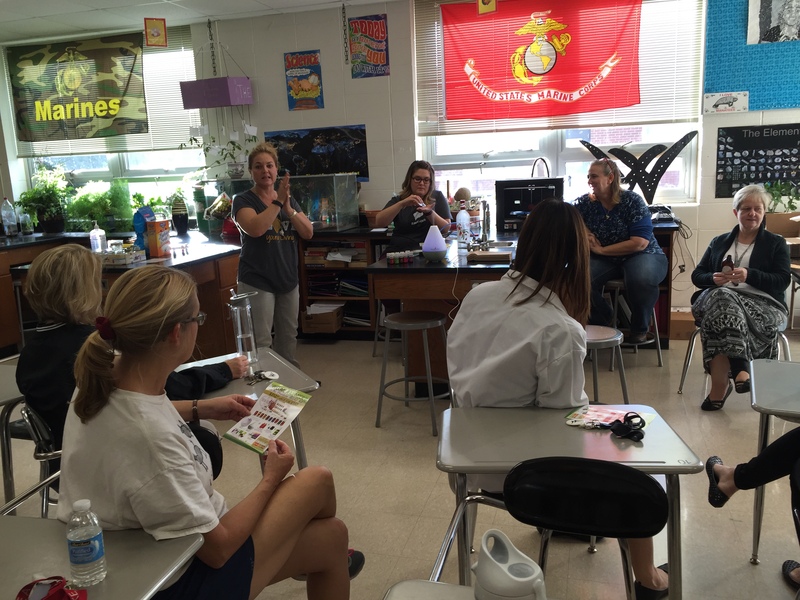 Sarah McDowell invited a guest speaker to tell a little more about essential oils, and then participants got to use the essential oils to make bath salts, dry shampoo, and a body scrub. WIS Christmas 5K Color Run & Willard Turkey Trot-Next Week! Don’t want to feel guilty for those turkey dinners you’re about to eat? Be sure to get signed up for one of the upcoming 5K Runs next week! 3rd Annual WIS Christmas 5K Color Run – Nov. 21, 8:00 am. Starts at Jackson Street Park. It’s a great event to bring the whole family to. Get more information & register at WIS web site: http://www.willardschools.net/Domain/10. Willard Turkey Trot – Nov. 26, 7:30 am. Starts at Willard Middle School. Register by 8 am tomorrow, Nov. 17th, to get a t-shirt and medal. For registration go to Active.com or WillardParks.com. Proceeds stay in Willard to help students with health, hunger and hygiene needs. Can’t make it on either of these days, but interested in participating in a run soon? Be sure to check out our 5K Runs/Walks page under “News & Events” as it’s updated frequently with runs in our area. WIS also held a building water challenge to drink more water in October. There is no doubt employees were better hydrated as they almost reached their goal and many made a new habit we hope sticks. For November, the challenge for employees is to “Strive for Five”. Each time they eat a serving of fruits/veggies, they will get to add a cutout to our bulletin board. Once it’s full, the building will earn a “Free Jeans Day”. By the looks of it already, they are well on their way! Look for more building focus news coming soon! Jeff Wasserman from Supplement Superstores will be offering a presentation called Diet in the Workplace at Willard Orchard Hills Elementary library on Thursday, November 5 at 4:00 for interested Willard staff. He will be giving tips about how to eat a healthy and balanced diet while at work to help maintain and improve your overall health. If you are interested in attending, please RSVP here. Feeling the stress of a school year well underway? Tired and could use more energy? Need that extra boost to help you reach your wellness goal? With the great classes currently being offered, you’re sure to find something to meet your needs! Check out the list below, our activity calendar for specific class dates, and then go over to the Willard U web site to get signed up! This is a great, FREE benefit for employees. Willard Turkey Trot on Nov. 26 – New this year is a group registration. Get a team of people from your school together! 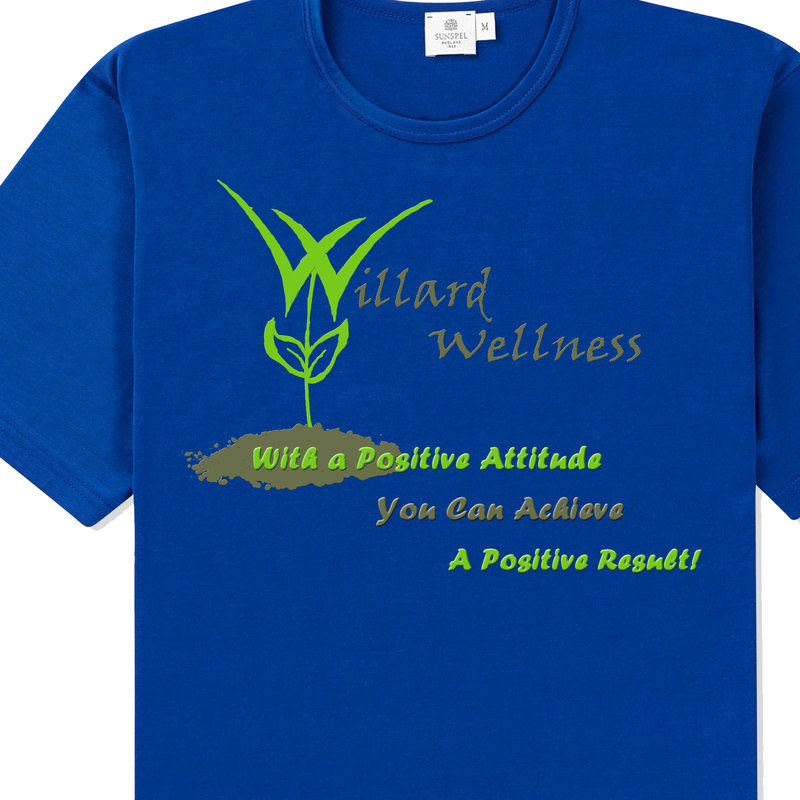 Work on your wellness goals and help WOHE raise money for their school and Willard Care to Learn! 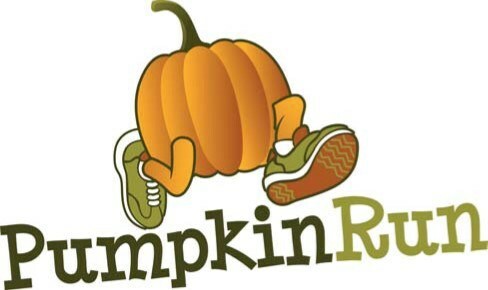 Come run the WOHE Pumpkin Run 5K/1 Mile/Tot Run on Saturday, October 31. The run begins at 8:00 a.m. This is a great family event with an activity for every fitness level! Register by Monday, October 12 to be guaranteed a shirt! If you have any questions please contact Sarah Blakemore at WOHE – sarahblakemore@willardschools.net. This past weekend several Willard Schools current & past employees, students, families & friends participated in the Panther Run. All money raised during this run benefits the Care to Learn program which helps several local chapters including Willard. Care to Learn’s mission is to provide immediate funding to meet health, hunger and hygiene needs so every child can be successful in school. Two schools even had a group there. “Team WOHE” included current teachers at WOHE, former principal Rhonda Bishop, two parents, and a current WMS student. Two members of the team ran the 15K, seven ran the 10K, and one of the members ran the 5K. Two members even placed in their age group! We were only able to get a picture of the 10K runners at the starting line, but everyone did a great job! Way to go Team WOHE!! WIS also had three staff members who ran the 5K portion, as well as 5 students. Two students who ran placed. A good time was had by all, mainly due to the perfect Ozarks fall day. Next they will have some running in the Hero Run this coming Saturday, Oct 10 at BBC benefiting Officer Pearson. Here’s pictures of some that participated. Have pictures of others not included who participated? Be sure to send them to staceypippin@willardschools.net so we can include them here too! Take a look at the great selection of wellness classes being offered throughout the district this semester for employees. There’s sure to be one that you want to try! Even if you can’t make all the dates in a session, we’d love to have you sign up to participate when you can! Sign up here for the class you’re interested in. Fit Club – 8 week session (Sept. 29-Dec. 3) meets on T & Th from 4:15-5:15 at WMS. Toning & Strength – 6 week session (Oct. 7-Nov. 18) meets on Wed. from 4-4:45 at Central Elementary. Fitness Class for Beginners – Meets once on Oct. 6 from 4-4:45 at Central Elem. This is a great class to get you started with proper form and technique. Healthy Lunches & Meal Prep – Meets once on Oct. 15 from 3:45-4:45 pm at WMS. Vinyasa Flow Class – 8 week session (Oct. 13-Dec. 15) meets on Tues. from 4-5 pm at WOHE. We’ve definitely got some talented student artists at Willard which makes choosing just one design difficult. However, thanks to all of your votes….we have a winner! We know you’re going to want one of these t-shirts! Don’t let time run out, if you haven’t already signed up for the Health Risk Assessment get signed up here: HRA & Flu Shot Sign-Up 2015. We only have 3 days left to get in! Also remember if you have recently had a full physical with your doctor, you may show verification to your school nurse to get a free t-shirt too. Watch for more news soon about upcoming wellness classes! Check this out! All employees that participate in the Health Risk Assessment this year will receive a FREE t-shirt. The cool part about this is that Mrs. Duncan’s high school Creative Photo II and Draw II art students have been working on our design. We’ll soon be narrowing down the list of choices for YOU to vote on your favorite design. We’re excited to see what they come up with! Be sure to get signed up for the HRA in order to get a t-shirt! Find more information and sign up on the HRA & Flu Shot 2015 page. Welcome back to a new school year! We hope everyone had a great summer and your school start has gone smoothly. As you begin new routines, don’t forget to take care of yourself too. All staff will soon be identifying their personal wellness goal for this year again. Be thinking about what yours will be and how you can aim even higher this year. 300 people met their goal last year and we expect that number to increase! Look for more information to come soon regarding the dates for our yearly health risk assessments and flu shots. The MET Wellness Program invites you to participate in the Substitution Challenge, a 21 day online program to help you make smarter food and beverage choices. Join us for a Mercy sponsored, community-wide, co-ed fitness expo, 8 – 11:30 a.m., The Fieldhouse Sportcenter, 2235 W. Kingsley St., Springfield. Order your ticket online at http://www.417mag.com/live-well-2015/Tickets/and enter MERCY as the promotional code for a $5 discount. For a complete schedule of classes and seminars, visitwww.417mag.com/live-well-2015/. Warmer spring weather is on the horizon and we’ve got several new wellness classes to offer our employees throughout the district. Below is a list of classes starting soon. We hope you find some that interest you! Visit our Willard U Eventbrite site to find out more information and register. This 5-week course will be lead by our SRO Glenn Cozzens and offered for women 16 years and older. Great opportunity to bring your daughter along! We are starting a new 8 week challenge for those on the Missouri Educator’s Trust (school insurance)! This challenge is for those who want to lose weight in the new year and learn how to do it the healthy way! Please see the attached flyer for more details about this challenge. The challenge begins Jan. 21st and goes until March 18th. You will need to send me an initial weight, midpoint weight (Feb. 18th) and final weight (March 18). If you get you weight to Lindsay by tomorrow you can still participate. Email initial weight to Lindsay Keith with picture standing on scale and picture of the scale (see flyer). Weigh in with your school nurse and have her email Lindsay your weight. Mercy’s wellness on tour starts February 2nd at Willard Middle School from 8-2:30. See attached 2015 mammogram flyer for additional locations and dates, be sure to call 417-820-2790 to schedule your appointment. Please review the attached Packet for instructions, they will file with your insurance (except Medicaid) and be sure to bring your insurance card and drivers licence. Biggest Loser challenge begins January 6th, 2015. This is a 15 week competition with 4 weigh-ins and EVERYONE can participate! See attached flyer for details BIGGESTLOSER2015. Many Americans gain between 1 and 5 pounds each holiday season. Instead of piling on the pounds, participate in our annual Maintain Don’t Gain Holiday Challenge! This year’s challenge will begin the week before Thanksgiving (the week of Nov. 17th) and will conclude the week following New Year’s (the week of Jan. 5th). See challenge flyer for more details. This challenge is for those on the school insurance only. Each school nurse will record names and weights of participants at their building. School nurses – Please send Lindsay the initial weigh in numbers and the last weigh in number. If your school wants to weigh in each week for accountability, that’s great, but only the beginning and end numbers are needed for challenge. The incentive this year is a $50 gift card. There will be one winner from each school participating. Participants are allowed to gain up to 2 lbs of their original weight, but anything above that is not eligible for prizes. 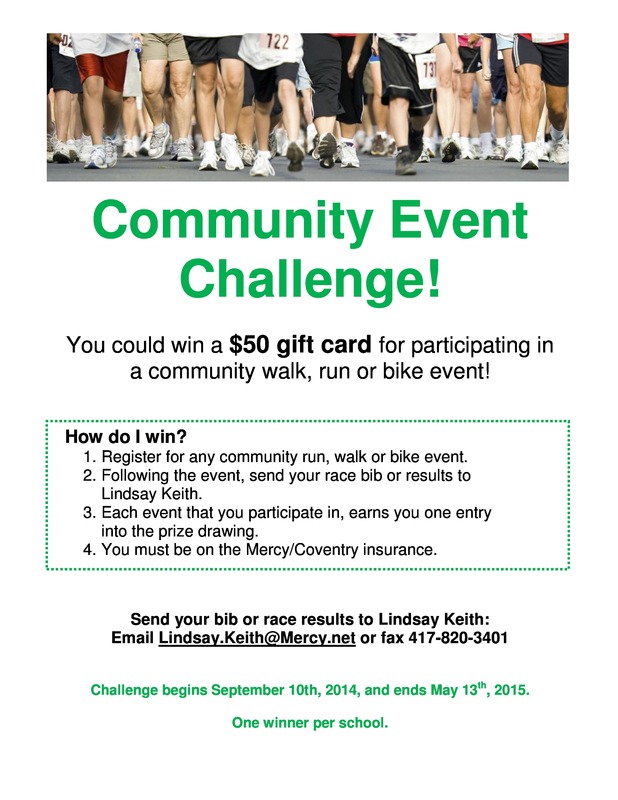 Contact Lindsay Keith at 417-820-7626 or lindsay.keith@mercy.net if you have any questions, good luck! 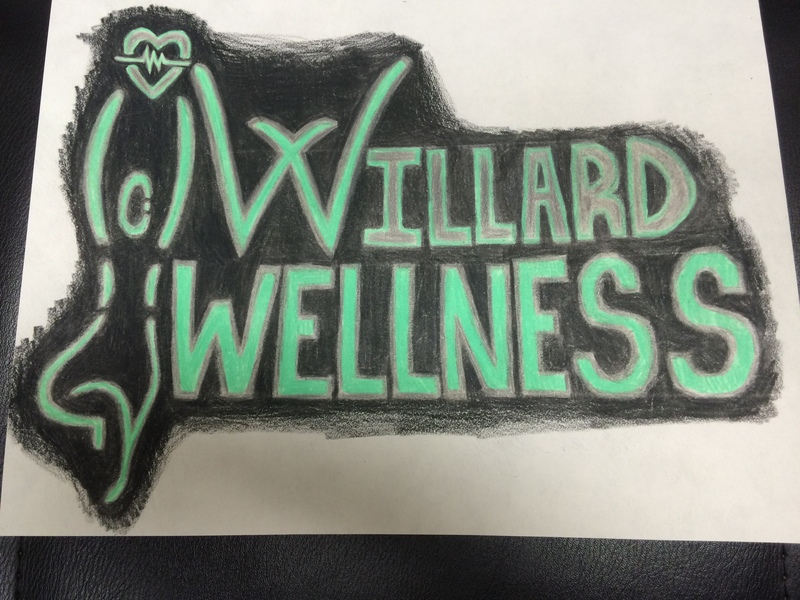 Willard Wellness is on Facebook! 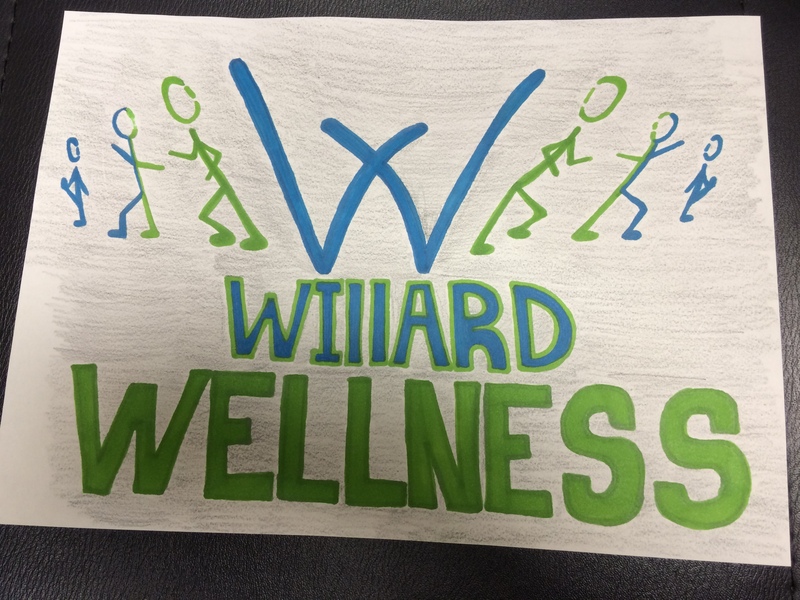 Willard Employee Wellness is now on Facebook! This group was created to give employees a place to share about their wellness experiences. communicate wellness activities to invite others to participate. share personal or group pictures from activities. share success stories to inspire others. use this site as a resource/support in your journey to wellness. We would like ALL employees to complete this short survey to help us plan activities for the wellness program this year. This survey will allow for the coordinators to determine staff needs and wellness habits. We would also like to hear from some of the experts we have right here in the district who might be interested in helping with an activity or event. We promise the survey won’t take long to complete! We value your thoughts and would like to hear back from you by Friday, Sept. 5. Our annual Willard schools volleyball league ended last week. The last game was a tight match with Willard East vs. Willard North for the championship trophy. This year Willard North pulled out a win for the trophy. Thanks to all that played again this year. Hopefully, next year we can put a few more teams together to continue this fun team building activity. Also, a huge thanks to Angie Curry for helping to organize the event. 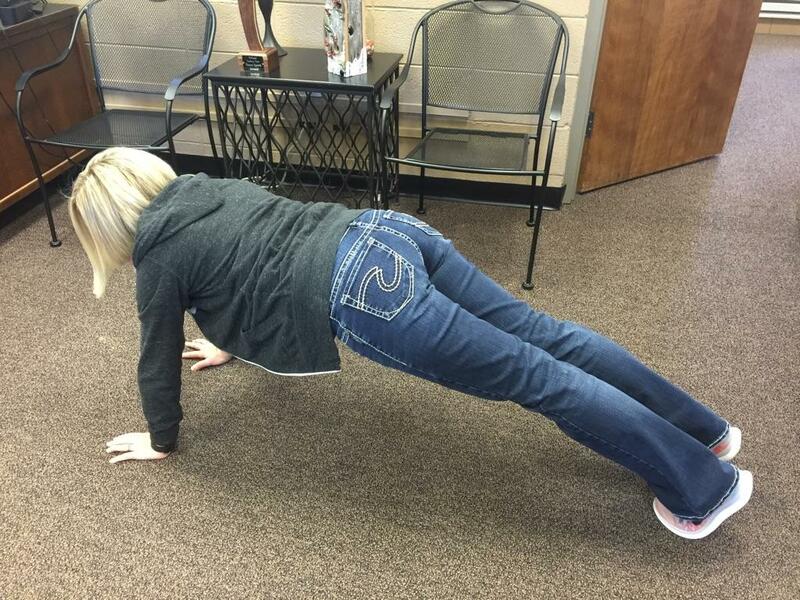 Staff are staying healthy by participating in monthly challenges in several buildings throughout the district. Willard East just celebrated the success of a water challenge with a natural flavored water bar. Willard Intermediate staff did a 60 min. a day fitness challenge in September and kept track of their fruits/vegetable servings in October. Everyone who participated put their name into a drawing and the employees below were the lucky winners. In September, Montene Staley earned an 8 class punch card to Monkey Fitness for getting in her daily fitness minutes. Bethany Miller got herself a $25 Mama Jean’s gift card for eating her fruits and veggies. Montene Staley won an 8 class punch card to Monkey Fitness. Bethany Miller won a $25 gift card to Mama Jeans for eating her fruits/veggies. The purpose of this site is to provide our employees with up-to-date information regarding the wellness program.